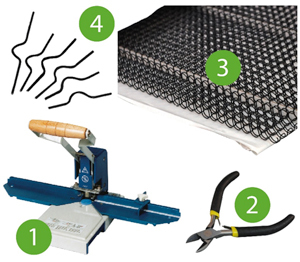 This completes all you need if you already have a wire binding machine, and is super value for money. If you do not have a binding machine this kit includes everything you need to produce your own calendars. ALREADY GOT THE KIT TO BIND CALENDARS? STOCK UP NOW FOR THE CALENDAR SEASON WITH OUR EARLY BIRD OFFERS! It is so easy to produce professional wire-bound calendars with the hanger on the top. 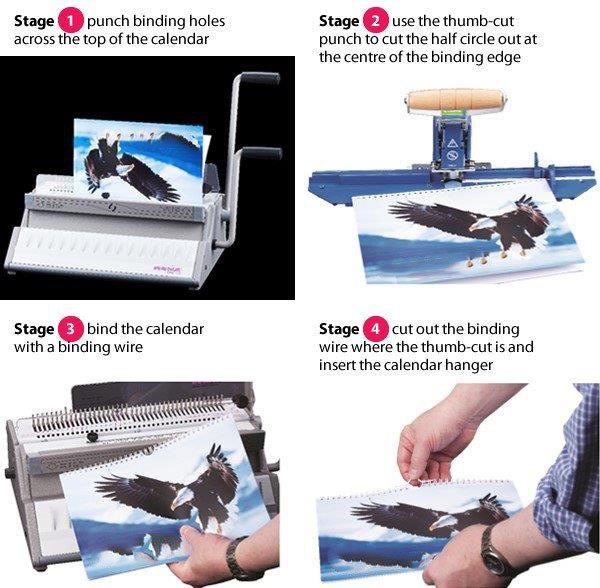 If you already have a wire binding machine then all you need is our thumb-cut punch/ round-corner kit to produce wire bound calendars. 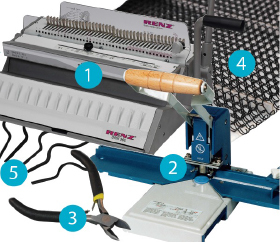 If you do not have a wire-binding machine then the kits that include a machine will give you the machine to also offer a general wire-binding service as well as calendar production. Terms & Conditions: All offers valid until Monday 31 July 2017. Discount applies to list price only. Not available in conjunction with any other offer.